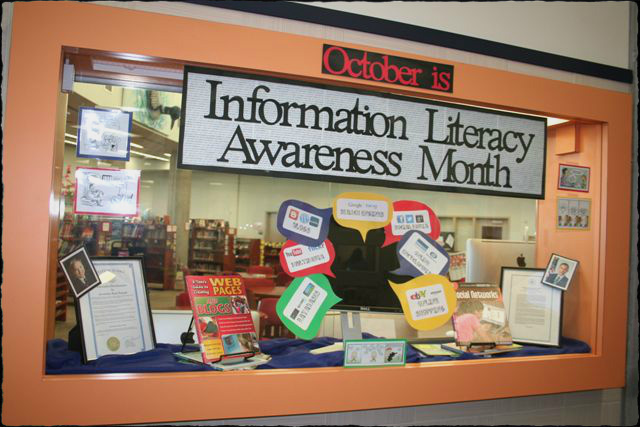 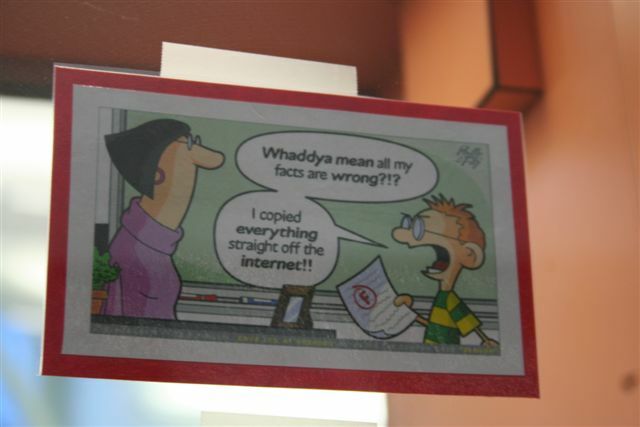 OK, so President Obama proclaimed October as “Information Literacy Awareness Month.” Did you know that? 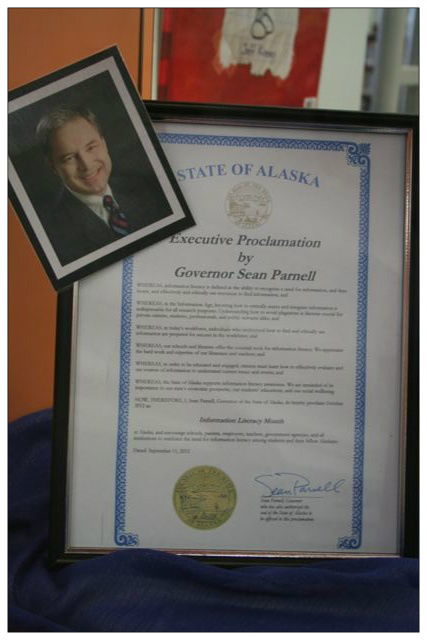 We found out that our own Governor Parnell made a similar proclamation, so how could we just ignore that as good Librarians/Media Specialists? 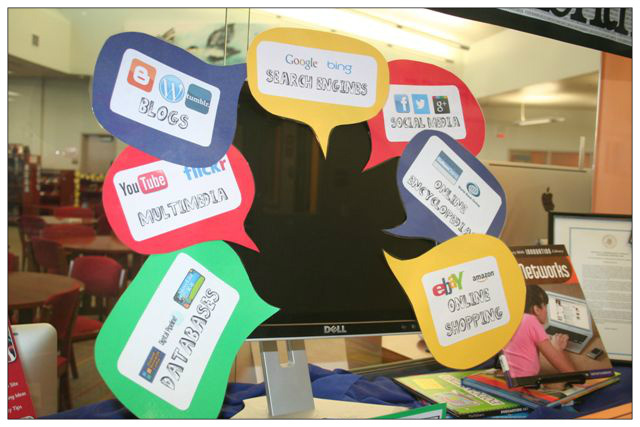 Even though we felt like big nerds, we came up with a display idea anyway to define information literacy and highlight the issue. 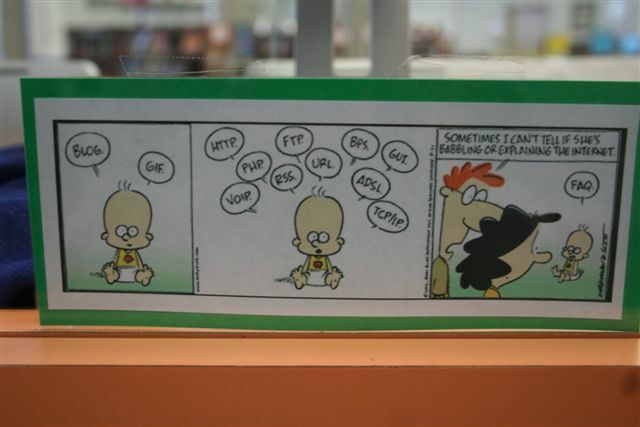 We had an old computer monitor in the back room, so we taped speech bubbles off it with various media terms and sites. 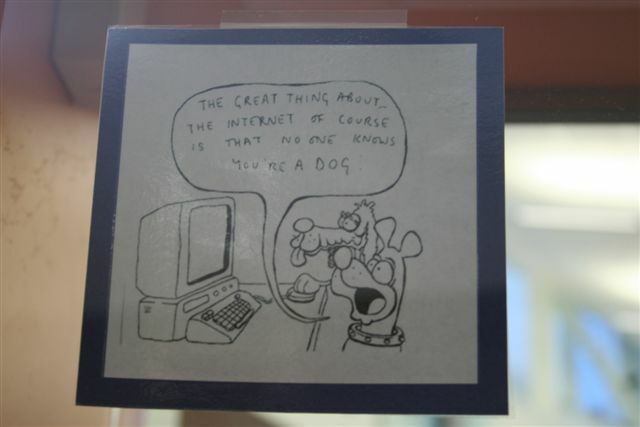 We were going to put a tag line on the case saying “What’s your info IQ? 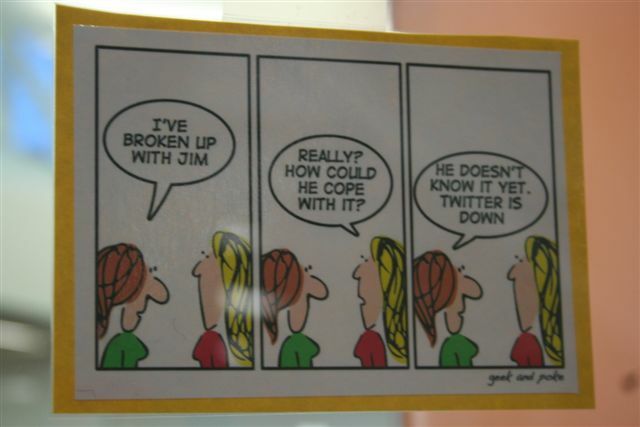 but it was looking pretty busy in the end. 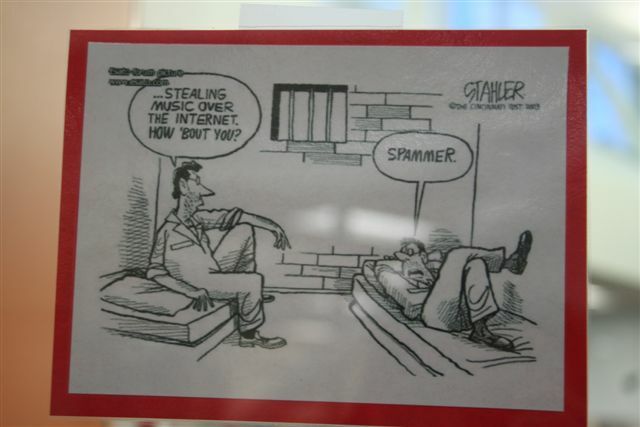 We found some funny cartoons on the subject and some library books to round out the case. 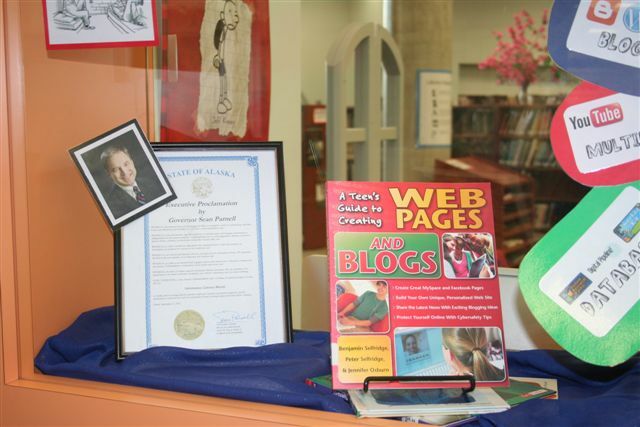 WHEREAS, the State of Alaska supports information literacy awareness. 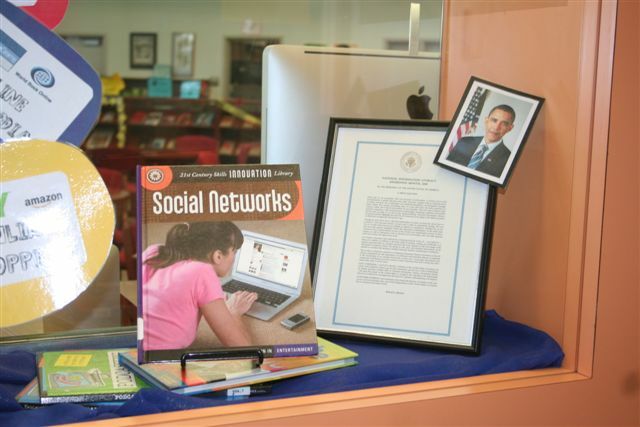 We are reminded of its importance to our state’s economic prosperity, our students’ educations, and our social wellbeing. 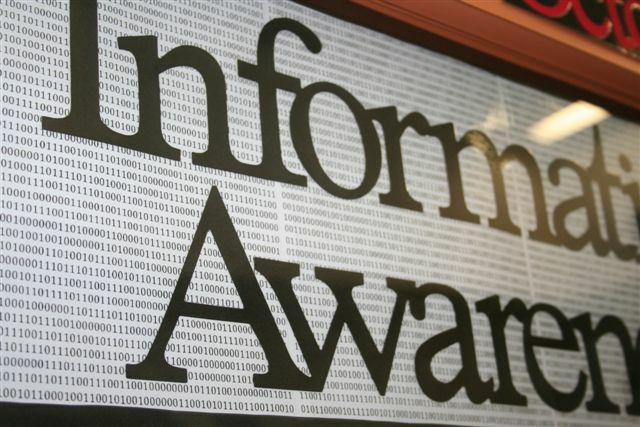 in Alaska, and encourage schools, parents, employers, teachers, government agencies, and all institutions to reinforce the need for information literacy among students and their fellow Alaskans.